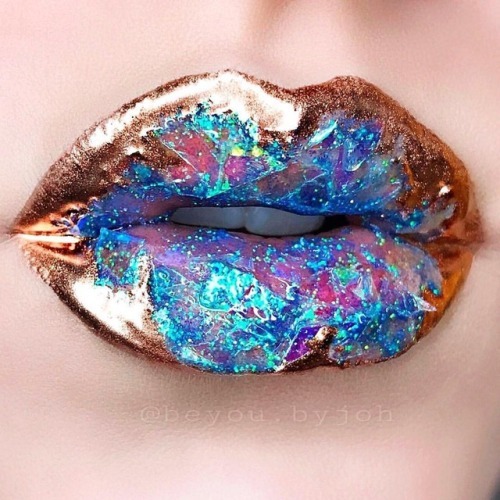 How cool is this lip look? It has two of our favourites encorporated - holographic & rose gold! An unusual pairing, but it some how works! What do you think?